The inspiration came from similar counts overseas, like the UK’s Big Butterfly Count and USA’s Great Sunflower Project. There was an opportunity to create a similar event here, and this style of citizen science is a great way to engage people beyond the ‘active’ amateur naturalists and science fans. Time-and-Place events, like local bioblitzes or museum-based events, may not connect with everyone who is interested if they don’t have time or money to attend. In contrast, backyard citizen science has the potential to engage more people, as it allows people to participate in their own time. We received positive feedback, and we also realised how many people were interested in wild pollinators, but lacked the resources/knowledge to identify different types of pollinators ‘on the wing’. This year, we updated the website with a new look, more resources, and even our own logo! We plan to run the count bi-annually, in April and November. This will hopefully allow participants to see some seasonal variation in wild pollinator communities – wild pollinators tend to be thought of much less in autumn and winter when their activity is shifting from foraging to nesting and overwintering. 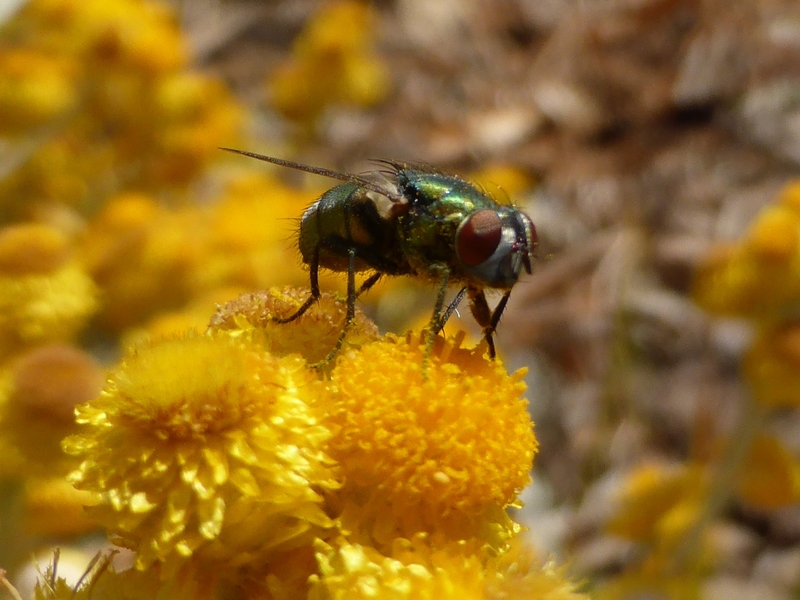 The count is open to Australian residents only, but we plan to build a great Resources page for anyone interested in wild pollinator conversation. Also have a look at our latest blog post on tips for a pollinator-friendly garden. Happy counting! Next Article Humanities vs Science: is writing a dying art? Very cool (and inspiring) post! I’m very interested in low-cost, self-started conservation projects and it seems as if your ‘Wild Pollinator Count’ fits this description perfectly (please correct me if I’m wrong). It’s also very cool that you used free tools (WordPress and Google forms) for the project. It shows that you don’t need huge budgets and IT departments for these kinds of citizen science initiatives. I hope you’ll consider writing a “How we did it…” -style post in the near future. Many of us have great ideas for conservation projects, but rarely follow up on these ideas with real actions. Perhaps you can help us overcome the gap between idea and implementation by offering some insider’s insights into your experiences. I look forward to reading more about this project in the future! Congrats! Thanks Falko! It is a ‘learning-as-we-go’ project – neither of us have done anything like it before. I agree, it may not have happened without the free connective powers of the internet! We are both also ‘donating’ our time, in the sense that it is a not a ‘formal’ part of our jobs (although still relevant) so we fit it in around other work. So yes, I will definitely post updates here as we go, and I am just as interested as you to see how it works!